That’s not me! The importance of reflecting a true likeness on film. 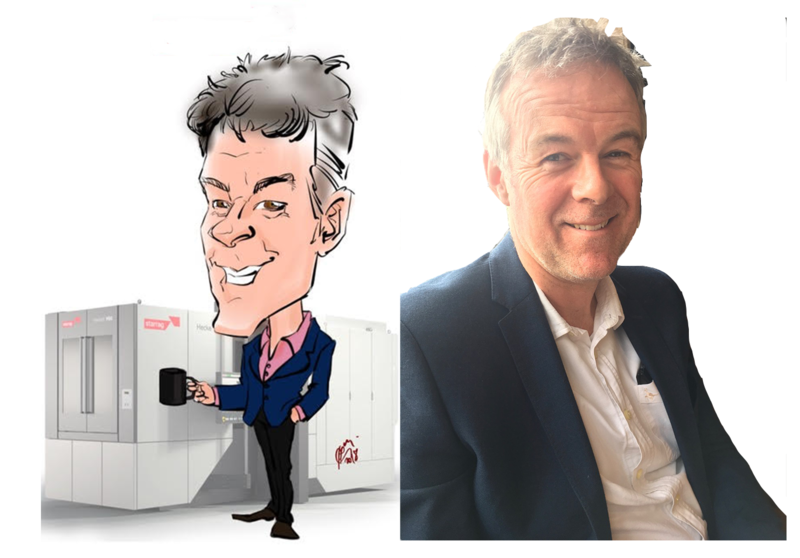 “Recognise this guy?” said Jeremy, my husband and co-founder, as he showed me a caricature someone had drawn of him at an exhibition. Sort of… dishevelled silver hair, bushy eyebrows, cheeky smile. But – the shirt is the wrong colour, the nose shape was generic, and the chin was all wrong. If someone had seen it out of context, would they have said “that’s Jeremy!”? We make a big claim – that our films can help you Be Understood. That by expressing something essential about who you are as a business, others will be able to get you, in less than 2 minutes. From that they’ll be able to make a decision about whether to buy from you, join your team, invest in your vision. Often we get it right. When we do it can provoke tears - such is the power of reflecting back a true likeness that you recognise. We’ve heard comments like “you’ve really got under the skin”, “my mum cried when she saw it”, “you’ve helped us see the power of who we are”. But sometimes the likeness has been slightly off – and we’ve seen how much that genuinely hurts. To get it almost right is worse than getting it badly wrong. Sometimes it’s because we’ve skipped a stage in the “getting to know you” process – and the client hasn’t felt safe enough to share their DNA at the deepest level – so what’s reflected back in the first edit doesn’t ring true. We simply go back a stage and start again from a different angle. Sometimes we’ve uncovered a deeper problem - a disconnect within the business so that the portrait is recognisable for some but not for others. That’s harder to crack and involves some tough conversations. Sometimes it’s that the sense of who a company “is” is intangible – people within the business can feel it but struggle to articulate it. When that’s the case we’ve taken a different creative route – for example telling stories that bring the likeness to life, instead of interviews. Almost 10 years into the journey of making films to help you “Be Understood” we’re still aiming to create a pithy film portrait that will make you think “Wow! That’s so us”. We won’t stop until you recognise, and like, what you see. Here’s how we helped FM Conway convey their true likeness. Get in touch to find out how we can help you.